What is ECU Chip Tuning? 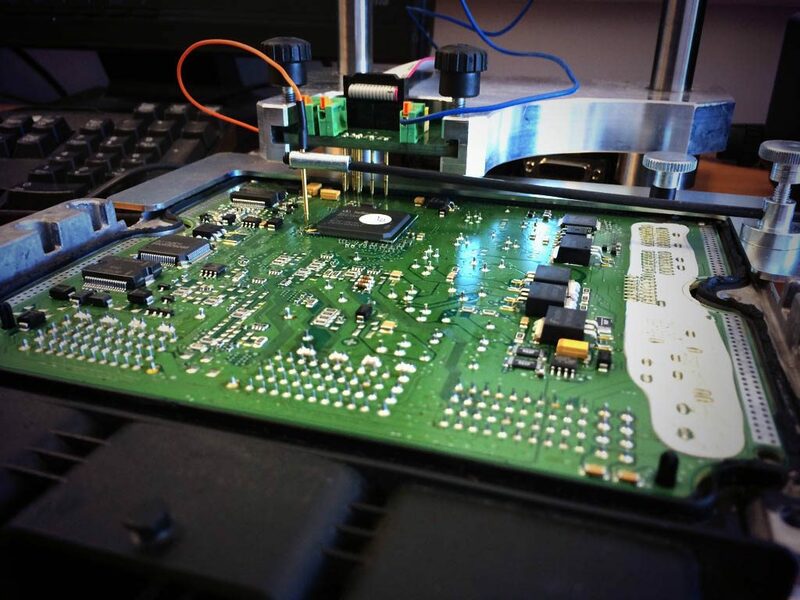 ECU Chip tuning refers to changing or modifying an erasable programmable read only memory chip in an automobile’s or other vehicle’s electronic control unit (ECU) to achieve superior performance, whether it be more power, cleaner emissions, or better Fuel efficiency. Engine manufacturers generally use a conservative electronic control unit map to allow for individual engine variations as well as infrequent servicing and poor-quality fuel. Vehicles with a remapped electronic control unit may be more sensitive to fuel quality and service schedules. Generally, ecu chip tuning enhance power 8%-36%,reduce fuel consumption by 5% -25%, cleaner emissions. 1.A naturally aspirated engine can increase horsepower about 10%. 2.Turbocharged engine can increase horsepower about 20%-30% or more. 3.It Solve many issues that original factory can’t solved:low rpm flameout,feel shake when you change gears. Why original auto factory limited ECU potential? ECU (Electrical Control Unit) manufacturers are international multinational companies: BOSCH,SIEMENS,MM…The products they produce will be sold all over the world.Due to the difference in gasoline quality,temperature,atmospheric pressure,humidity and engine form,the ECU program software must be used in accordance with national conditions,consideration of economy and environmental protection,so manufacturers limited ECU potential and reserved space for the upgrade. Does ECU Chip Tuning influence the lifetime and security of vehicle? ECU Chip Tuning doesn’t influence the lifetime and security of vehicle.ECU Chip Tuning would only optimize parameters of engine and ECU rather than make engine work in ultimate state and will also keep absolutely safe space,so it doesn’t influence lifetime and security. Will enhancements of engine performance damage engine? The purpose of re-writing ECU progress is to optimize engine running state and improve fuel combustion efficiency,so the engine will not have any harm.Even the new car in the run-in period can be modified. Will the engine be fueled after the ECU upgrade? After ECU Chip Tuning,engine horsepower would increase by curve of oil and ignition rematch and adjustment rather than increase fuel.According to the external sensor signal for the best air and fuel mix and the engine valve lift and timing,ECU control them to achieve the purpose of increasing horsepower.Many people feedback that their cars have more horsepower and reduce fuel consumption after ECU upgrade. How long does ECU work after upgrade? For most European models,writing and reading data of ECU by OBD2 diagnostic interface.Only some of them need to disassembly.In the future,no need disassemble of ECU upgrade will be a trend.It has more higher security than remove ECU Chip.ECU lifetime is as long as your car,if it will not suffer external damage. Read the data of ECU,according to customers requirements and combine local climatic conditions, oil situation,European senior engineer will provide one-to-one chip tuning service.At present,the most cutting-edge technology in the world is method no need disassembly.This upgrade mode read and write data by OBD2 diagnostic interface.Compare to traditional disassembly method,it has a considerable progress. Will ECU upgrade influence original auto factory diagnosis and damage immobilizer system? ECU upgrade is in tailored way.Read the progress data,sent it to original auto factory to get vehicle relevant information.According to customers requirements,only adjust some parameters of progress,then re-write new data into ECU.It will not influence other features of the car. ECU operating voltage range of 6.5V-16V, operating current in the 0.015A-0.1A, can withstand less than 1000 Hz vibration, the operating temperature of -40 ℃ to 80 ℃. So the ECU damage rate is very low. 1.Write and Read ECU data by OBD interface. 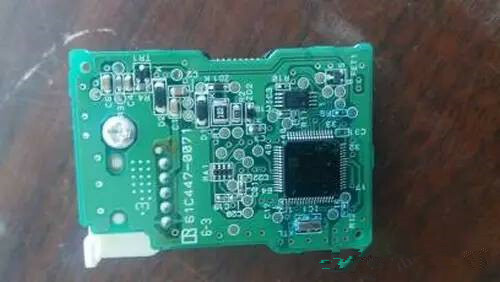 This method use device include Germanic ielec byteshooter,CMD and Italian KESS V2.All of them no need to disassemble ECU. This method use device include Germanic evc bdm100 and ktag.